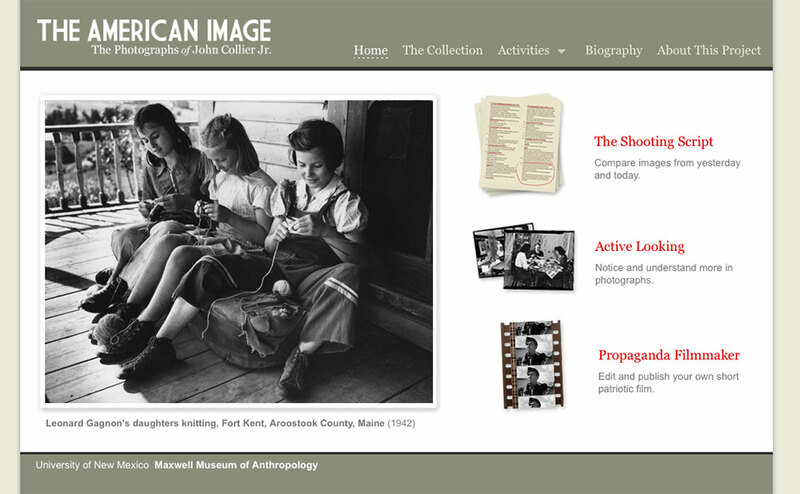 The American Image is an online exhibit exploring John Collier Jr.’s work during the war years of the 1940’s. The photographs depict day-to-day life in America during World War II. The site serves two purposes. First, it brings the wonderful photographs of John Collier Jr. to a new audience. Secondly, a series of activities guide users through an in-depth examination of visual media. 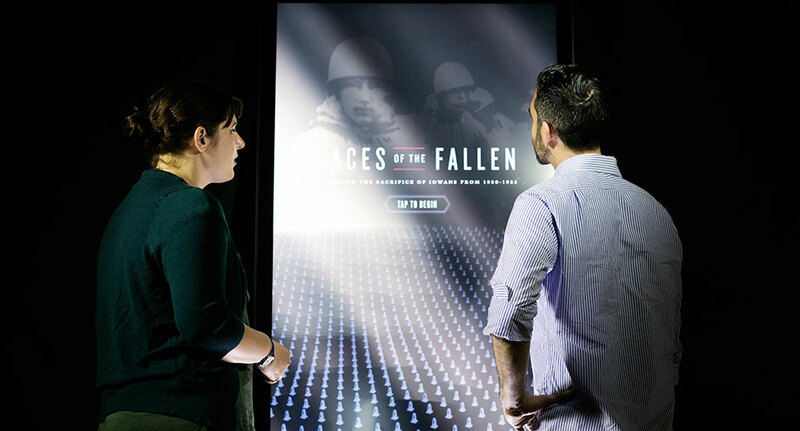 The project was funded with a grant from the National Endowment for the Humanities. The look of the site is a clean, art deco-esque design with muted colors, straight geometric lines, and classic fonts. 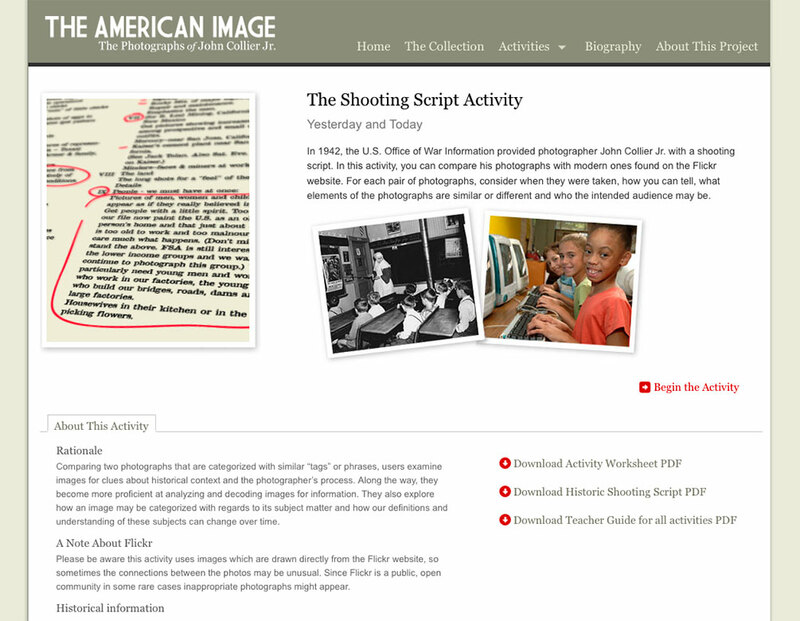 The photographs that appear in The Collection and within The Shooting Script activity are drawn directly from John Collier Jr.’s photos on the Flickr website. 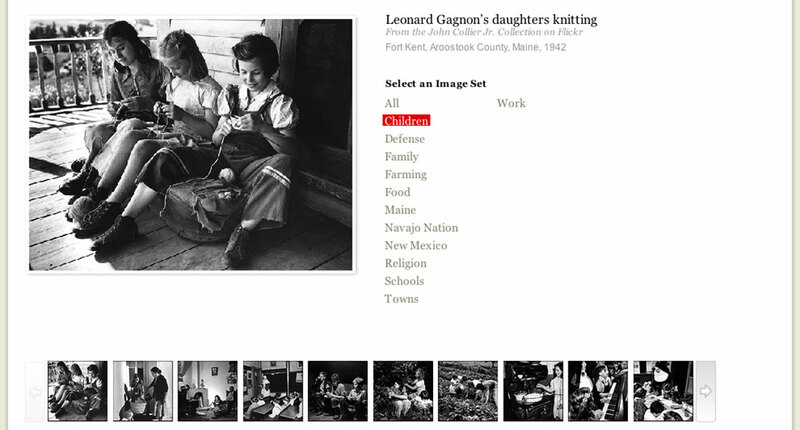 Hundreds of archival-quality photographs were posted to Flickr for this project. 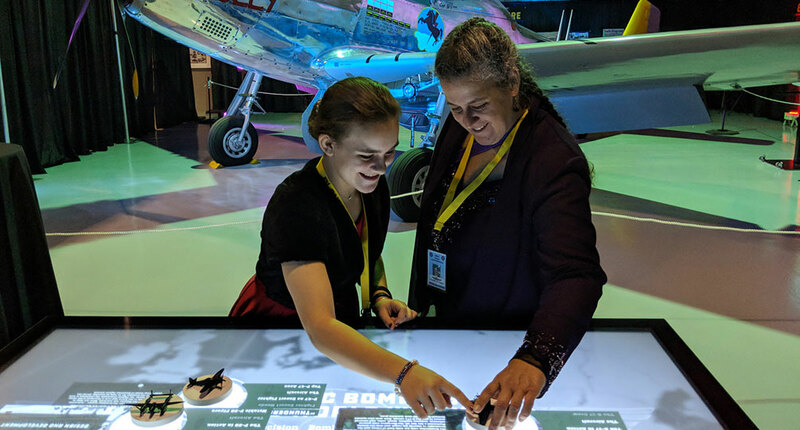 The Propaganda Filmmaker activity was developed to allow visitors to creatively interact with film clips, graphics, and photographs produced during the 1940s to support the US war effort during World War Two. 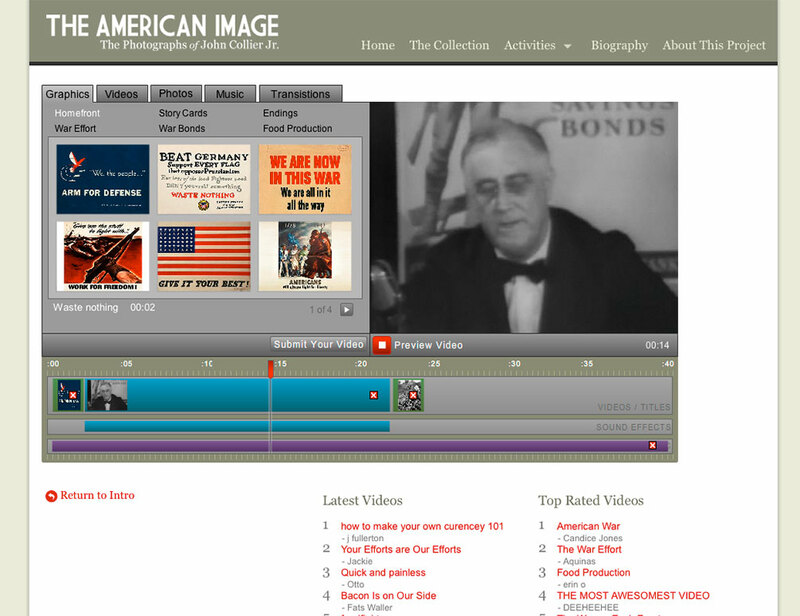 Visitors can use these media elements to create their own short propaganda film. 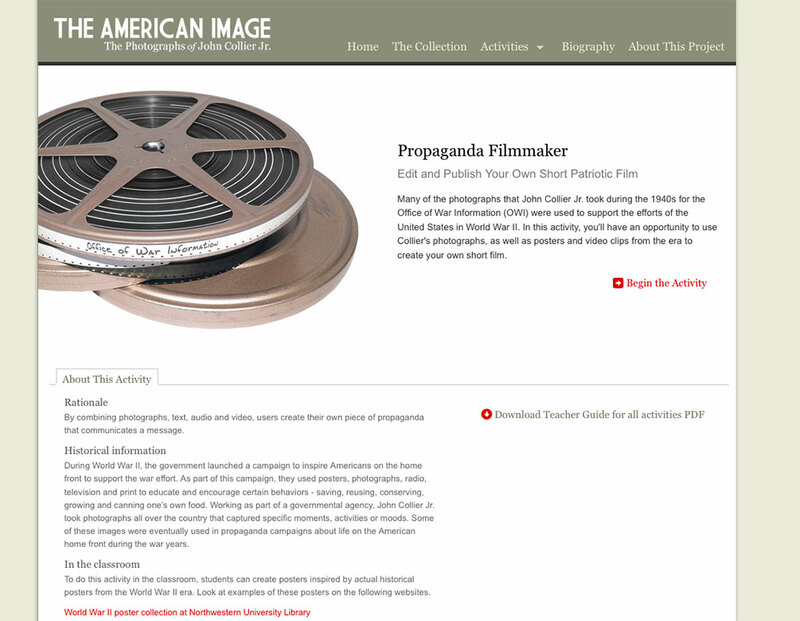 In addition to John Collier Jr.’s photographs, sources for this piece came from the Internet Archive Movie Archive and the World War II Poster Collection from the Northwestern University Library. 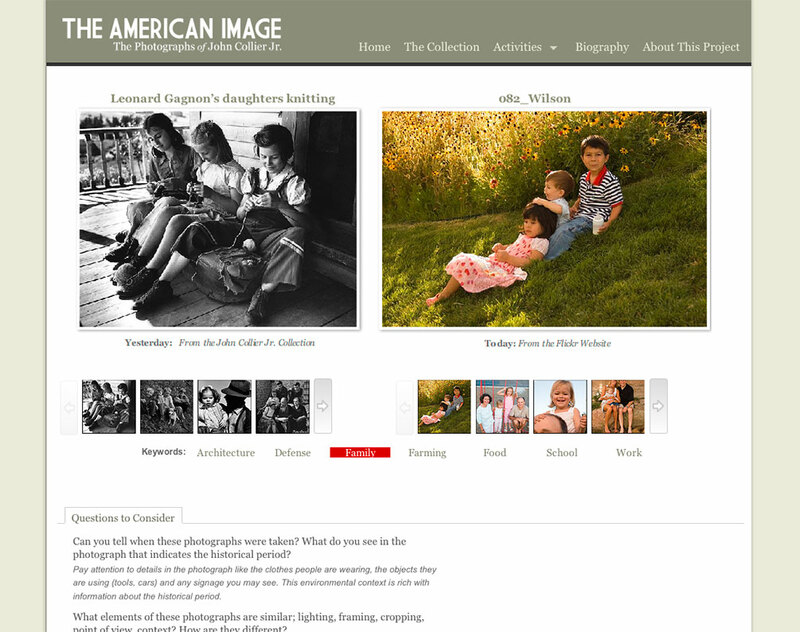 Built in 2006, The American Image site was one of the first museum sites to use Flickr to connect with public audiences. 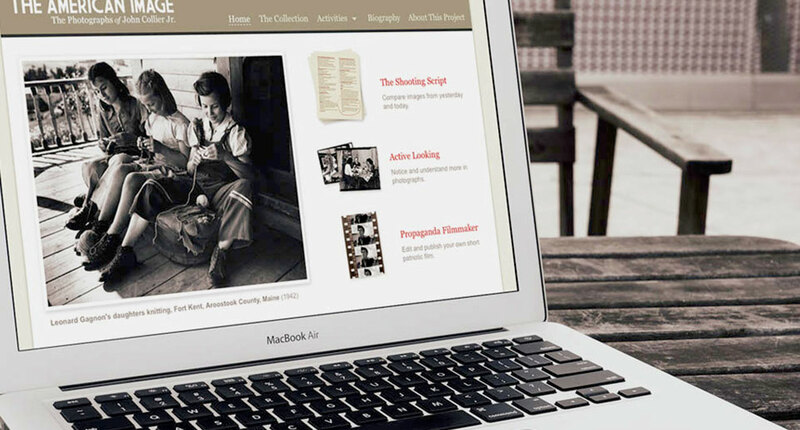 In 2008, the site won the Museums and Web Conference Award for the Best Online Exhibition. You can visit John Collier Jr’s Flickr site to view his wonderful photographs. The application provides a range of activities and information. The Shooting Script juxtaposes period and modern images. Comparing photos illuminates stylistic and historical change. 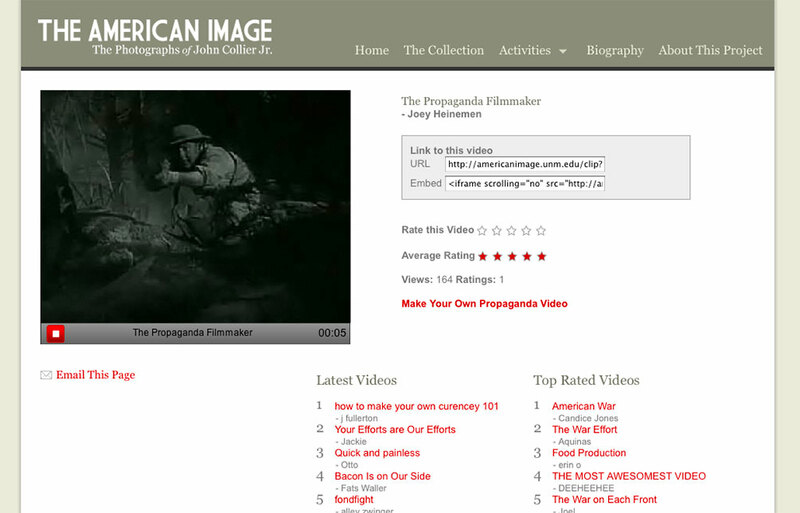 The Propaganda Filmmaker lets visitors create new videos. Building a film reveals the power of imagery and iconography. Once complete, videos can be shared and rated.